As painful as the question is to consider, I appreciate having readers catch the mystery-within-the-mystery that is a foundational component to so many of my novels. In this case it was my latest release, Murder on Matia, and the dedication of the novel to my older brother who is no longer with us. This reader received a free promotional version and after reading the novel, took the time to email me to ask about the link between a social issue concern that is paramount to the story and possible real-life links to the person the novel was dedicated to – my brother Derek. Derek’s struggle was a long one. I have, more than once, likened it to a slow-moving suicide. It is not a term I mean to sound flippant. Perhaps others who have watched a family member struggle year after year might better understand my true intent in describing it as such. Derek was a combat marine veteran. He spoke little of that experience but on one occasion after we had both been drinking, he suddenly remarked how sometimes he could still smell it. I had no idea what he was referring to. I asked him to explain. Derek went silent for several seconds and then answered. “The smell of burnt flesh. Body after body, miles and miles and miles of it.” After that, we both went quiet for a while. He could be kind. He could be cruel. In the end, he was simply a shell of a thing – an unfinished man who had given up trying to be something more. As frustrating as he was to all those who called him son, brother, and friend, we knew his was likely not to be a long life. And he knew it too. I could hear it in his voice. I saw it in his eyes. That kind of acceptance is a dangerous thing for longevity. It means you’ve given up. You’ve given in. Derek had lost the ability to find pleasure in those simple things that used to keep him going. The outdoors. Time with family. The annual fishing derby when we would open our expansive property to the public so the local kids had a chance to fish our ponds with their parents and grandparents. 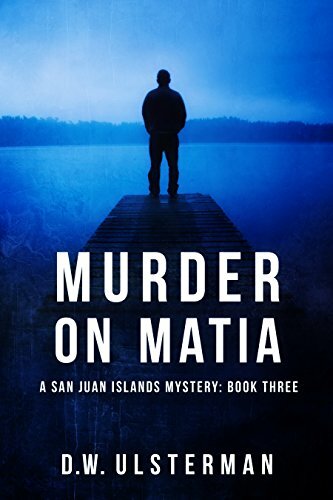 Yes, to that reader who asked – there is more than a bit of Derek in the prologue to Murder on Matia. The morning I received the call that he had been found dead I took a deep breath and closed my eyes. It hurt, but it was a hurt that had been a long time coming because I knew that the person Derek had once been had already been gone for some time.